Gin is one of the few liquors that is not meant to be sipped alone, but rather mixed into cocktails. Its herbal flavors mix well with all kinds of mixers, lending itself to an array of delicious cocktails. 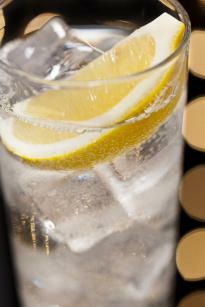 The British East India Company originally developed the gin and tonic to fight malaria. They made the cocktail to disguise the bitter taste of quinine, which prevented and treated the disease. 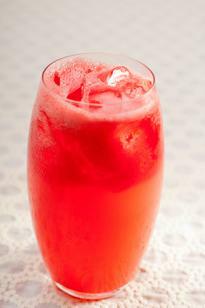 The drink remains popular today due to its simple nature and its bittersweet flavor and refreshing quality. The drink is easy to make. In a tall glass, mix the ice cubes, gin, tonic water, and lemon juice. Martinis have become tremendously popular in all sorts of forms. You can order fruity martinis, dry martinis, drinks with vodka, and every creamy martinis. The cocktail that started it all, however, is the classic martini, which is made with gin, dry vermouth, and either an olive or a twist of lemon. Martinis have been popular since the late 1800s, and they remain a staple among mixologists. Author E.B. 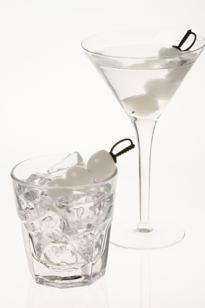 White called the martini the "elixir of the quietude." It is a dry, cool drink with an herbal character. This sweet, fizzy cocktail tastes like lemonade with some gin in it. It's a refreshing drink that people enjoy on warm summer days. 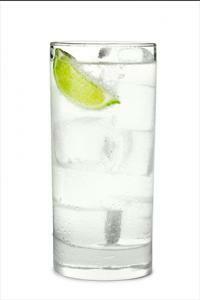 The drink recipe actually arose from a hoax in 1874 in New York where people would ask, "Have you seen Tom Collins?" Nobody ever had, and eventually people began reporting Tom Collins sightings all around the city. A Tom Collins drink recipe first appeared in the Bar-Tenders Guide that same year. The Tom Collins is the most popular of a number of Collins drinks and is a commonly ordered drink in bars around the country. Place ingredients in a shaker and shake vigorously until frost forms on the outside. Pour the mixture through a strainer into a tumbler and top it off with enough chilled soda water to fill the glass. Alternately, lime wedge, maraschino cherry, or mint leaves may be used as garnish. This fizz drink contains sloe gin. It is a fruity, sweet gin drink that goes down easily. In fact, its sweet drinkability likely accounts for its popularity. Sloe gin tastes like plums while simple syrup adds sweetness to the drink. Carbonated water makes the drink fizzy and refreshing. In a cocktail shaker, shake the sloe gin, soda water, lemon juice, and simple syrup with ice. Strain it into a collins glass filled with crushed ice. The negroni is made with equal parts gin, sweet vermouth, and Campari. The cocktail itself has a bitter quality, so it serves best as an aperitif to awaken the taste buds. What's interesting about the negroni is that it looks like it will be a sweet fruity drink, so it's surprising when it is bitter. People enjoy the mouth pucker of the drink, which makes it a popular gin drink. Most negroni recipes are exactly the same, with little or no variation. This refreshing drink, made from gin, lime juice, and a little simple syrup, is sour and delicious. The lime complements the herbal flavors of the gin. 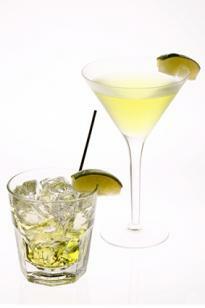 People who love lime enjoy the gimlet, which can also be made with vodka. The gimlet is named for the sharp taste of the drink. A gimlet is a tool that drills holes, so it is sharp and piercing. In a cocktail shaker, combine the gin, lime juice, simple syrup, and ice. Shake the drink until well blended. 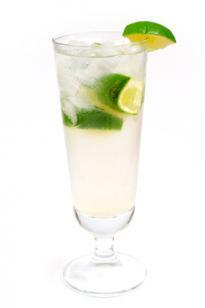 Lime Rickeys contain three simple ingredients: lime juice, gin, and soda water. This makes for a refreshing and tart lime flavored drink that has a nice herbal character to it. Unlike the gimlet, the Lime Rickey has no sugar, so it is a very tart drink. The original Rickey was made with bourbon in the 1880s. However, within 10 years, the Gin Rickey became the drink of choice. While this drink may sound vaguely old-fashioned, many people enjoy its tart and refreshing flavors and minimal sweetness, so it remains a popular drink. Fill a collins glass half-full with ice. Squeeze the lime into the glass and then drop the squeezed lime into the glass. Add the gin and fill the glass with club soda. Similar to a martini, the gibson contains gin, vermouth, and pickled cocktail onions. Like a martini, the drink is dry and cool, but the onions add a savory depth to the drink that people find pleasant. It's similarity to a martini with a savory edge makes the gibson a popular choice. In a cocktail shaker filled with crushed ice, add the gin and vermouth. Shake the cocktail until well blended. This fruity drink is reminiscent of a tasty tropical cocktail. It was created in the early 1900s at a bar in Singapore and named the gin sling. 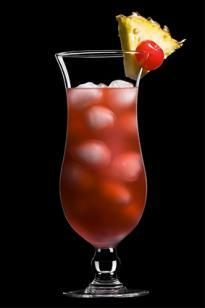 As it spread in popularity throughout the world, it was renamed the Singapore sling. The cocktail tastes like fruit punch with just a touch of bitter and a touch of herbs. Many people love its sweet, juicy flavors, making it a popular drink. Fill a collins glass half-full with crushed ice. Add the gin, cherry liqueur, Cointreau, benedictine, pineapple juice, lime juice, grenadine, and bitters. Stir to mix well. Garnish with the pineapple and cherry. The Long Island iced tea contains multiple shots of different types of liquor, including gin. With such a high alcohol content, the drink is very strong, which many people really enjoy. Even with so much alcohol, however, the drink goes down easily, which also may account for its popularity. Surprisingly, with its high alcohol content, the Long Island iced tea does taste a bit like non-alcoholic iced tea with lots of lemon. While the Long Island iced tea recipe contains lots of liquor, it's not too difficult to make. Just take it slow because there is a lot of alcohol in a single drink. Drinks made with gin come in a wide variety of flavors, with varying degrees of sweetness. Even if you think you don't like gin, try it in its intended use - mixed with other ingredients to make fragrant and tasty drinks. There are enough gin cocktails that even the pickiest person is bound to find a gin drink he or she loves.